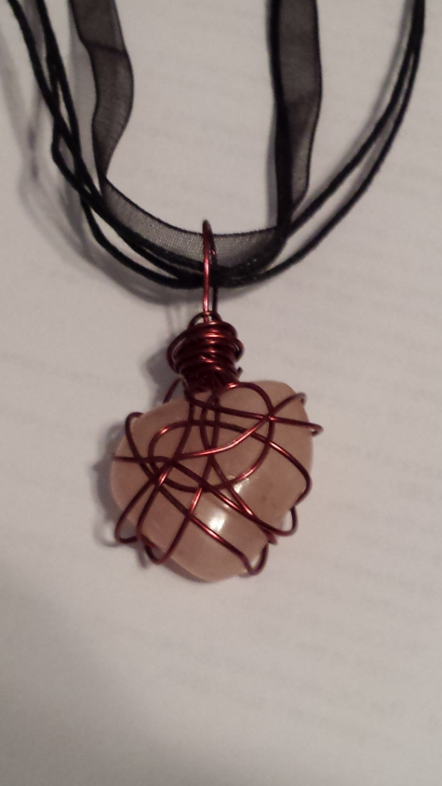 The stone that Kelly’s friend gave her is a rose quartz and is shaped like a heart. “I got some wire, and the idea just came to me,” Kelly tells. “It took several tries, but I finally got the wire wrapped around the stone to my liking.” With that said, Kelly has made hundreds, if not thousands, of wire wrapped jewelry.